Asian technology stocks hit 17-year peaks on Wednesday as blockbuster earnings from Apple (AAPL.O) rippled out to component makers globally, helping offset a pullback in the energy sector. The tech giant reported better-than-expected iPhone sales, revenue and earnings per share and signaled its upcoming 10th-anniversary phone is on schedule. There was a note of caution over reports U.S. President Donald Trump was close to a decision on how to respond to what he considers China's unfair trade practices. Tepid U.S. inflation along with political turmoil in Washington has lessened the risk of another Federal Reserve rate hike this year, lowering bond yields across the globe. Improving data in other major economies has also served to push the greenback down nearly 11 percent from January peaks, benefiting commodities and emerging markets. A swathe of manufacturing surveys (PMIs) out on Tuesday underlined how the improvement in activity had broadened out from the United States to Asia and Europe. A gauge of U.S. factory activity slid from a near three-year high in July amid a slowdown in new orders and consumer spending barely rose in the prior month, setting the stage for a moderate economic expansion in the third quarter. That was reinforced by other reports on Tuesday showing motor vehicle sales in July recorded their biggest year-on-year drop in nearly seven years. A plunge in construction spending in June suggested the government could cut its second-quarter GDP growth estimate. The Commerce Department reported last week that the economy grew at a 2.6 percent annual rate in the April-June period, accelerating from the first-quarter's tepid 1.2 percent pace. The Institute for Supply Management (ISM) said its index of national factory activity fell to 56.3 last month from 57.8 in June, which was the highest level since August 2014. A reading above 50 in the ISM index indicates an expansion in manufacturing, which accounts for about 12 percent of the U.S. economy. Manufacturing is slowing as a boost from the energy sector ebbs after a burst in oil well drilling activity. It is also being hurt by declining automobile production as companies respond to falling sales that have left them with an inventory bloat. Motor vehicle output has dropped for three straight quarters. The ISM survey's production sub-index fell 1.8 points to 60.6 last month. Though a gauge of new orders slipped to 60.4 from 63.5 in June, manufacturers were upbeat about demand. Manufacturers in the chemical, computer and electronic and nonmetallic mineral products sector reported either strong orders growth or demand. Machinery makers described business as very steady, but said "everyone is waiting till the last minute to place their orders." Electrical equipment, appliances and components manufacturers said they were starting to see better "order entry" and planning on a turnaround for 2018. There was also little sign of inflation. The personal consumption expenditures (PCE) price index, excluding food and energy, increased 1.5 percent in the 12 months through June, after advancing by the same margin in May. The so-called core PCE is the Federal Reserve's preferred inflation measure. The U.S. central bank has a 2 percent target. In June, personal income was unchanged. That was the weakest reading since a 0.1 percent dip in November 2016 and followed a 0.3 percent increase in May. Wages and salaries rose 0.4 percent in June. In another report, the Commerce Department said construction spending in June tumbled 1.3 percent to $1.21 trillion, the lowest level since September 2016. Oil prices fell 1 percent on Wednesday; with rising U.S. fuel inventories pulling U.S. crude back below $50 per barrel, while ongoing high OPEC supplies weighed on international prices. The API said that U.S. crude stocks rose by 1.8 mn barrels in the week ending July 28 to 488.8 mn, denting hopes that recent inventory draws were a sign of a tightening U.S. market. Official storage figures are due to be published by the U.S. Energy Information Administration later on Wednesday. Outside the United States, Brent was pulled down by reports this week showing production from the OPEC at a 2017 high of 33 mn bpd. That is despite OPEC's pledge to restrict output along with other non-OPEC producers, including Russia, by 1.8 mn bpd between January this year and March 2018. The Economist Intelligence Unit said that despite the cuts "the global market remains oversupplied," and it warned that "there is no guarantee that further cuts will be sufficient to rebalance the oversupplied global oil market." Energy consultancy Douglas Westwood reckons that this year's oil market will be slightly undersupplied but that the glut will return in 2018, and last to 2021. Gold closed down Tuesday on and made its intraday high of 1273.97/oz and intraday low of US$1262.49/oz. Gold down by % at US$1268.69/oz. In daily charts, prices are above 200DMA (1231) and breakage below will call for 1234-1224. MACD is below zero line and histograms are decreasing trend and it will bring downward stance in the upcoming sessions. RSI is approaching neutral region and more upside is expected before it touched overbought region. Stochastic Oscillator is in overbought territory and giving positive crossover to confirm bullish stance for intraday trade. Based on the charts and explanations above; sell below 1279-1305 keeping stop loss closing above 1305 and targeting 1270-1264-1254 and 1249-1241. Buy above 1270-1230 with risk below 1230, targeting 1279-1288 and 1296-1305. Silver closed up Tuesday on made its intraday high of US$16.67/oz and intraday low of US$16.28/oz. Silver settled down by 0.714% at US$16.68/oz. On daily charts, silver is sustaining below 100DMA (17.05), breakage above will lead to 17.80-18.00. MACD is above zero line and histograms are increasing trend and it will bring bullish stance in the upcoming sessions. RSI is in oversold region, indicating buy signal for now. The Stochastic Oscillator is in neutral region and giving positive crossover to show upside move for the intraday trade. Based on the charts and explanations above, buy above 16.50-14.90 targeting 16.80-17.35 and 17.70-18.10; stop breakage below 15.30. Sell below 16.80-18.10 with stop loss above 18.10; targeting 16.30-16.00-15.60 and 15.30-14.90. Crude Oil on Tuesday made an intra‐day high of US50.40/bbl and made an intraday low of US$48.34/bbl and settled down by -2.81% at US$48.76/bbl on session close. On daily charts, oil is sustaining below its 200DMA i.e. 49.77 which is a major resistance and breakage above will call for 50.30-51.00. MACD is below zero line and histograms are in decreasing mode will bring bearish stance in the upcoming sessions. The Stochastic Oscillator is in overbought region and giving negative crossover for confirmation of bearish stance; while the RSI is in oversold region and more downside can be expected. Based on the charts and explanations above; sell below 49.20-52.00 with stop loss at 52.00; targeting 48.50-47.50 and 47.00-46.10. Buy above 48.50-46.10 with risk daily closing below 46.00 and targeting 49.20-49.70 and 50.60-51.50-52.00. EUR/USD on Tuesday made an intraday low of US$1.1785/EUR and made an intraday high of US$1.1843/EUR and settled the day down by 0.337% at US$1.1800/EUR on session close. On daily charts, prices are sustaining above 50DMA (1.1283), which become immediate support level, break below will target 1.0626-1.0600. MACD is below zero line but histograms are increasing mode which will bring bullish view. Stochastic is in overbought territory and giving negative crossovers to signal for bearish outlook for intraday. 14D RSI is currently in neutral region and giving upwards directions to consider buy. Based on the charts and explanations above; sell below 1.1840-1.2080 targeting 1.1770-1.1720 and 1.1680-1.1620-1.1580 with stop-loss at daily closing above 1.2080. Buy above 1.1770-1.1620 with risk below 1.1620 targeting 1.1840-1.1900 and 1.1980-1.2080. GBP/USD on Tuesday made an intra‐day low of US$1.3186/GBP and made an intraday high of US$1.3243/GBP and settled the day down by 0.083% at US$1.3202/GBP on session close. On daily charts, prices are sustaining above 200DMA (1.2570) is become major support level. 14-D RSI is currently in neutral region and direction is difficult to predict on RSI bases. The Stochastic Oscillator is in overbought territory and giving negative crossover to confirm bearish stance. MACD is below zero line and histograms are decreasing lead to downward movement. Based on the charts and explanations above; short positions below 1.3220-1.3450 with targets at 1.3140-1.3090 and 1.3050-1.2960, breakage above 1.3450 look for further upside with 1.3450 as targets. 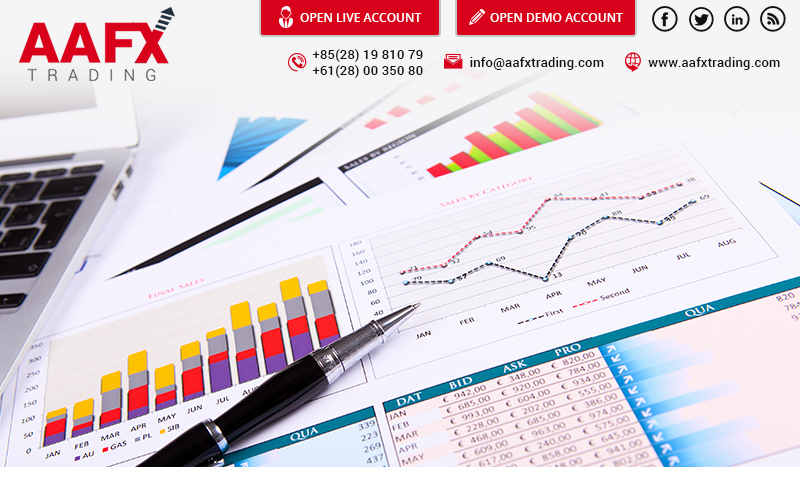 Buy above 1.3140-1.2960 with stop loss closing below 1.2960 targeting 1.3220-1.3300 and 1.3380-1.3450. USD/JPY Monday to made intra‐day low of JPY109.92/USD and made an intraday high of JPY110.58/USD and settled the day down by 0.361% at JPY110.35/USD. In daily charts, JPY is sustaining above 200DMA (108.90), which is major support on the daily chart. 14-D RSI is currently is approaching oversold region. MACD is above zero line but histograms are in decreasing mode which might lead to downward movement. The Stochastic Oscillator is approaching oversold territory and signaling to buy as it has given negative crossover to confirm bearish stance. Long positions above 110.60-109.50 with targets of 110.90-111.60 and 112.00-113.00-113.95 with stop below 109.00. Sell below 111.6-114.00 with risk above 114.00 targeting 110.90-110.10 and 109.5-108.70.